The Full Court Press is a full size basketball game. Every made basket goes to your opponent’s side. The first person to get rid of all their balls is declared the winner! 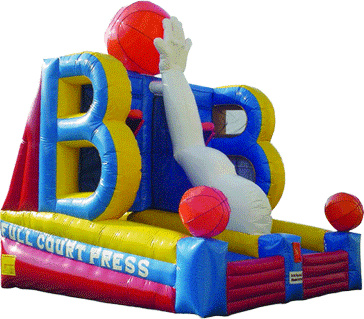 Great for Schools, Churches, & Corporate Events, Etc..